Hey guys! Publix is having their 'Italian Days' beginning today, February 16th-29th. During this time you can save big on items to make all your favorite Italian themed dishes. Participating brands include: Progresso, Green Giant, Muir Glen and others. There will also be coupons in-store to maximize your savings. 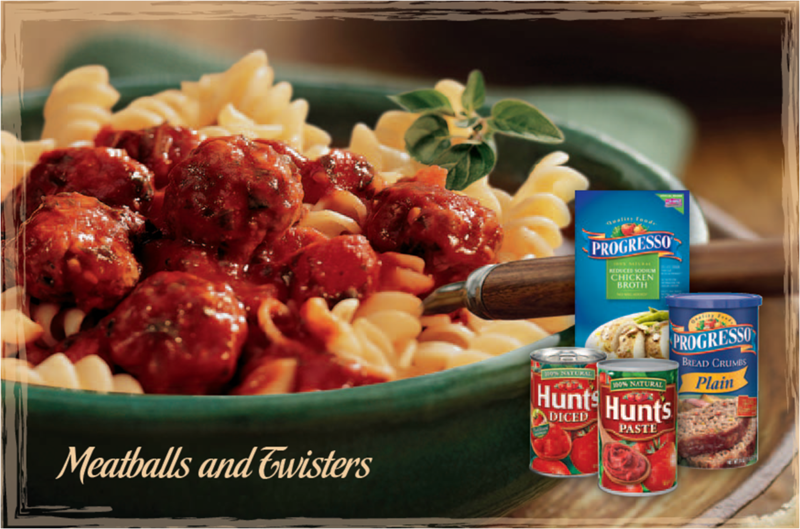 We are planning an Italian night on Saturday and we will have the Meatballs and Twisters pictured below. I already know my family will love it! While visiting Italian Days at Publix from February 16th through February 29th, you can also enter the Taste the Tradition Italian Days Sweepstakes for a chance to be 1 of 500 shoppers that will win a $100 Publix® gift card, sponsored by General Mills. Click – Stay up to date with the latest General Mills promotions happening at Publix, by visiting ClickCallMail.com. Once you’re registered and logged in, you can participate in any the current promotions. Call – If you’d prefer to enter the sweepstakes and participate in other promotions via telephone, feel free to call the General Mills hotline, at 1.800.627.6059, and be sure to say that you want to enter the 2012 Italian Days Sweepstakes. Please be sure to provide your complete contact information (Full name/address/zip code/phone #). Mail – If you prefer to participate via mail-in entry, print and mail your complete contact information (Full Name/address/zip code/phone #) to 2012 Italian Days Sweepstakes, P.O. Box 44257, Atlanta, Georgia 30336. Giveaway: One lucky Momfiles reader will win a $25 Publix gift card! Enter below in the Rafflecopter widget. Please complete the mandatory entry to make the extra entries count. This contest is open to US Residents only and will end on February 29, 2012. Please leave your email address in your comment if you do not have a Blogger profile. Failure to follow the rules will disqualify your entries. Momfiles is not responsible for any lost or stolen prizes. Good luck! I'm entering on the rafflecopter with my FB username Mary Happymommy. I like linguine with clam sauce. I love spaghetti and meatballs with garlic knots! thanks!! Lasagna! Thanks for the chance to win! I love Chicken Fettucine Alfredo. my favorite dish is pizza. Definitely lasagna...I love the Pioneer Woman's recipe! i love fried ravioli! Thanks for a super giveaway!